Villa Krasa was completed in 2006. To ensure that our guests fell as comfortable as possible we decide to open only 2 Apartment each have a separate entrance and private parking. 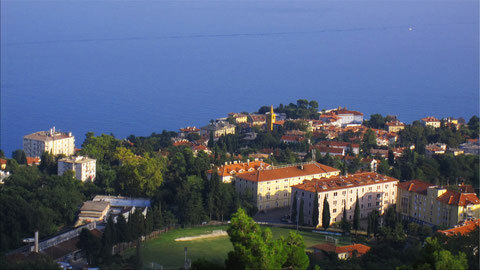 In 2010 we recived from the croatian authorities a category 4****. Villa is about 700 m airline distance from te Liburnia riviera coast with breathtaking panorma ans sea view on the Kvarner bay. The location is very quiet. Due to the location directly at the "Natur park Ucka" is additional to beach holiday also suitable for hiking an mountain bike . There are numerous hiking and biking trails to the top of 1410 m high Ucka mountain.